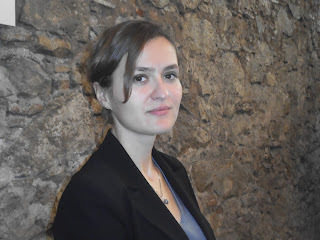 Besa Shahini (Prishtina, 1982) is an independent researcher and policy analyst based in Kosovo. Until summer 2015, she was a Senior Analyst with the Berlin-based think tank European Stability Initiative (ESI). Shahini participated this month in the seminar "Understanding the limits of international post-conflict governance: the case of Kosovo", organised by Barcelona-based think tank CIDOB. "The biggest issue for Kosovo now is that five EU member states do not recognise Kosovo as a state. This means that Kosovo cannot apply for membership to the EU"
"Kosovo needs to be engaged in two dialogues simultaneously: an internal one with the Kosovo Serbs, and an external one with Belgrade"
"Kosovo Government – while it gave the Serb community in Kosovo a lot of rights and possibility for self governance through decentralization – it did not do a good job at engaging them in an internal dialogue about Kosovo’s future. This created a gap between Prishtina and the Kosovo Serbs, which Serbia is now using to achieve its goals in Kosovo"
"Kosovo should have built up the courage to establish local courts that would deliver justice to the victims of all ethnicities. Serbia should have done the same"
"I stopped believing that the international community wants to fight corruption in Kosovo"
"There should also be more opportunities for Kosovo’s youth to work, study and travel to the EU. Currently this is not possible as Kosovo is the only country in the Western Balkans without visa free travel to the EU"
"The fact that only Kosovar youth have to go through this arduous procedure is really singling them out and making them feel like second class citizens in Europe. This must absolutely change"
A.B. - Expectations that Kosovo's independence would bring a rise in standards of living with the help of the United States and the European Union were not met. What's the current economic and social situation in your country? B.S. - Kosovo is one of the poorest countries in Europe. GDP per capita is 3,000 Euro, or less than 10% of average GDP per capita in the EU 28. It has the lowest employment numbers in the region – 30% of everyone ages 20-65 has a job. The current economic model does not support employment growth - Kosovo produces very little and imports most basic goods. Kosovo’s exports come up to 300 million Euro, of which only 100 million Euro are processed goods (the rest are in mines and minerals). While it’s imports reach 2.3 billion Euro, and are mainly financed by the large Kosovo diaspora that regularity send remittances back to their families. How did Kosovo get here? Kosovo was the most underdeveloped region in Yugoslavia. Economic planning was done centrally from Belgrade and due to strained political relations between Serbia and Kosovo, it saw very little investment until 1970s. This changed in the 1970s and 1980s, as political tensions eased somewhat. In the 1990s, due to the wars and overall economic decline, most industries declined rapidly. After the war, Kosovo became an international protectorate, fully governed by the UN and its partners. The EU was put in charge of economic governance through EUMIK (EU Mission in Kosovo). The one policy they implemented in Kosovo was privatization. Instead of reviving the declining industries, they set up mechanisms to sell them off. This rapid deindustrialization resulted in the loss of Kosovo’s skill base. Today, without the necessary skills in its labour force Kosovo is finding it difficult to attract foreign direct investment to boost its economy. At the same time, the education system is only now being tuned to build the professions Kosovo needs. So the way I see it, we are still looking at a long way ahead in this battle for economic turnaround, and it won’t be easy. A.B. - Seven years after declaring independence from Serbia (February 2008), Kosovo has been recognised by the United States and major European Union countries. But Serbia, backed by Russia, refuses to do so. How is affecting this lack of recognition the integration of your country in the international community? B.S. - I think the biggest issue for Kosovo now is that five EU member states do not recognise Kosovo as a state. This means that Kosovo cannot apply for membership to the EU, thus cannot really take part in normal pre-accession programs that the rest of the Western Balkans are benefiting from. This will keep Kosovo further behind the region. If Serbia would recognise Kosovo, five EU member states would have no reason not to any longer, thus this would unlock Kosovo’s way toward the EU. But also, if the five decide to take a principled position and recognise Kosovo even before Serbia does, it would ease tensions with Serbia tremendously as it would open Kosovo’s path toward the EU, independently of Serbia, and Kosovo would focus its efforts on the EU reform program. Kosovo is small and it cannot develop in isolation, thus this situation is really hindering Kosovo’s development. A.B. - A landmark deal aimed at paving the way for the normalisation of relations between Kosovo and Serbia was brokered by the EU in 2013. But there are hurdles on both sides to implement the agreement. Is there any chance to come to a dialogue for a real rapprochement between Pristina and Belgrade? B.S. - Kosovo needs to be engaged in two dialogues simultaneously: an internal one with the Kosovo Serbs, and an external one with Belgrade. All issues pertaining to Kosovo Serbs should be dealt with through an open dialogue with them. While the dialogue with Belgrade should focus on issues of recognition, war damages, missing persons, property claims of Serbia in Kosovo, etc. But this is not really happening this way. Kosovo Government – while it gave the Serb community in Kosovo a lot of rights and possibility for self governance through decentralization – it did not do a good job at engaging them in an internal dialogue about Kosovo’s future. This created a gap between Prishtina and the Kosovo Serbs, which Serbia is now using to achieve its goals in Kosovo. It insists on the establishment of the Association of Serb Municipalities in Kosovo, through which it will exercise control over Kosovo, the same way it exercises control over Bosnia through Republika Srpska there. The August 2015 agreements show this clearly. They do little to address the needs of Serbs in Kosovo but do a lot to legitimise Serbia’s control over Kosovo. If Kosovo could get international support to split these two dialogue tracks, I believe this would produce lasting results leading to stability in Kosovo and the region. A.B. - The war in Kosovo in the late 1990s opposing ethnic Serbian and Albanian population has left deep wounds, and reconciliation between the majority Albanians and the Serb minority remains elusive. Kosovo's Parlament approved a law to set up a special war crimes court paving the way for indictments to be filed against top wartime leaders and current politicians. Is that a crucial and an ineluctable step towards reconciliation? Has this special court started its works? What has been done so far regarding this field? B.S. - This is an international court that Kosovo is integrating into its own institutions. I think Kosovo should have built up the courage to establish local courts that would deliver justice to the victims of all ethnicities. Serbia should have done the same: there are hundreds of thousand murdered in the Balkan wars in the hands of the Serbian army, yet only a handful of generals were successfully put on trial and convicted. This is not right. But coming back to the Special Court in Kosovo, I have very little faith that international courts can deliver justice. The crimes for which this court is being set up, have been addressed by three other international courts unsuccessfully: UNMIK, International Crimes Tribunal for former Yugoslavia (ICTY) and now EULEX. What confidence does anyone have that a fourth court, with some of the same judges and prosecutors and investigators, and many more years removed from the events at stake, can deliver the justice for the victims? A.B. - According to the 2014 Transparency International Corruption Perception Index, Kosovo and Albania continue to be the most corrupt countries in South-East Europe. Is this kind of criminal activity blocking Kosovo's economic growth? B.S. - To some degree yes. Surveys with big investors show that they do consider corruption to be one of the issues why they hesitate to invest in Kosovo. According to different studies, corruption in Kosovo is public sector corruption: government officials skimming from public tenders to private companies. Which makes it difficult to expect that the current government can fight public sector corruption, if it is involved in it. It is also difficult to vote out of power the current political class as they have the support of all the international stakeholders in Kosovo. The EU (including member states) and US officials in Kosovo, continuously talk about the importance of fighting corruption. But when the opposition in 2014 formed a coalition against the biggest party in power, and on a platform to fight corruption, the international stakeholders intervened to prevent them from forming the government*. The opposition – they said – was not as cooperative as the party in power in reaching agreements with Serbia. After this had happened, I stopped believing that the international community wants to fight corruption in Kosovo. In addition the EU Rule of Law Mission (EULEX) – whose mandate was precisely to fight organised crime, corruption and deal with war crimes - also failed to indict corrupt politicians or come up with important final rulings. This mission cost EU taxpayers over a billion Euro and is now being investigated for corruption itself! A.B. - An April report by the Kosovo Center for Security Studies (KCSS) claims that Kosovo is the Western country that has sent the most recruits on a per capita basis to join Islamic State and other militant groups in Syria and Iraq. Which factors explain this Kosovo's fecundity for jihadists? How is the Kosovar government dealing with the matter? B.S. - I think that like in any other country, those who have joined ISIS seem to be disenfranchised youth, with little perspective in their lives, trying to find some meaning in life. The word that I commonly see used by those who give interviews to the media is “dignity” – they are fighting to get their dignity back. These youth feel that the world is an unjust placed and they have been wronged greatly by a system that rewards consumerism and wealth, so they decide to join this compelling call to a more egalitarian community, as ISIS presents itself to these youth through their recruiters. The problem is of course that ISIS is not egalitarian, nor a means to retrieve dignity. It is a violent terrorist group that treats people as expendable good. But people find this out only after they have gone to Syria, which is too late because then they can hardly leave any more. The Kosovo Government is addressing this as a security issue, arresting suspicious people and closing down dubious NGOs that are suspected of having contributed to recruitment. But I think this is not only a security issue: it has a socio-economic aspect to it. And to fight it, Kosovo needs to become a better, more prosperous and inclusive country, which will involve all of its citizens in building this better country. The system in place right now – with a few very rich people, a lot of very poor people and a very thin middle class – must change, to allow for a building of a stronger middle class that will support the development of the country. There should also be more opportunities for Kosovo’s youth to work, study and travel to the EU. Currently this is not possible as Kosovo is the only country in the Western Balkans without visa free travel to the EU. If young people want to travel to the EU, they must apply for a costly visa with long waiting times. The fact that only Kosovar youth have to go through this arduous procedure is really singling them out and making them feel like second class citizens in Europe. This must absolutely change so there is a clear signal to the Kosovo youth that they belong in Europe too. A.B. - Despite all the difficulties, do you think that Kosovo's democratic process is moving forward? Do you feel optimistic about the near future? B.S. - I think we are looking at a difficult few years ahead, but I am optimistic about Kosovo’s future. It is important that more people get engaged in a national debate about the future of the country. Until recently this was not possible, as decisions were being made by international organizations governing the place. They were not accountable to the people of Kosovo thus no debate was needed to inform their decisions. But now things are different: there is currently a fierce national debate happening between the government and the opposition, that is authentic and I hope will produce change. It was sparked by the recent agreements made with Serbia, which the opposition disagrees with, but it is spilling over in other areas: energy and environment, privatization and even education. At its core though, it is a debate about how are we going to build the state. On one side are those who believe that Kosovo is an international project and it is the international community who will finalise this project. So all we need to do is compromise and wait and the state will just happen. On the other side are those who think that the state can only be built by the people of Kosovo, who have to get engaged, work hard, achieve equality among – and justice for – its citizens and not compromise on issues that threaten the future of the state. I think this debate is absolutely necessary for the democratic development of Kosovo and the fact that it is happening is giving me hope for the future.